Nearly two years ago I was driving back to Atlanta from Tampa and as I crested I-75 heading North I could see the Atlanta skyline in the distance, bright in the nearly 1am night. I remember this overwhelming sense of peace and belonging came over me. I knew I was meant to be here. I eventually did move back to Atlanta. You ever think you love something? Or know something, then something comes along and challenges/enhances that knowledge and love? 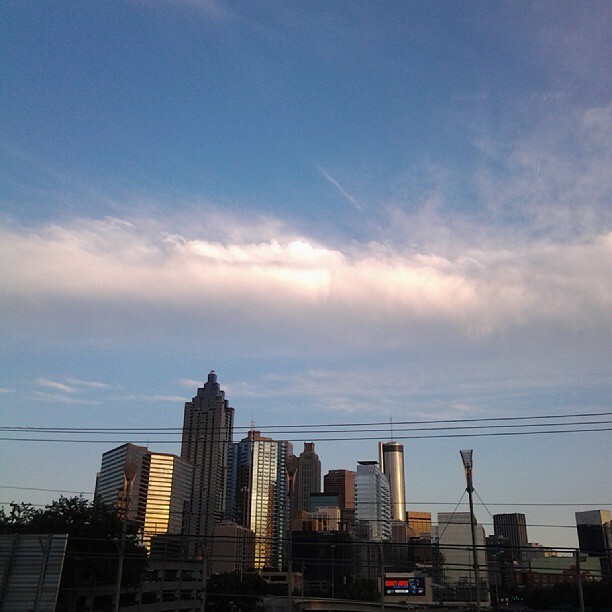 That’s whats happening to me regarding this city…my city, Atlanta. I grew up here. My family is here. And as far as I’m certain I’m at least 4 generations deep here. Yet, it has taken one place, a Church to be specific, to literally call what I thought I loved and knew into question. This just over two year old Church plant that has its sole mission in tangibly serving Atlanta, in a myriad of unique ways is an agent by which God is both awakening and nurturing a deeper love for my city. Its challenging me also. As I pray through and wrestle with what it may mean to join my hand to the plow with what this Church is doing, I can only imagine what the future may hold. Right now I am in the middle of a transition. I will write more in depth about that transition in time to come. For the past nearly 5 years I have invested my heart and life into a Messianic Jewish Congregation and the Messianic Jewish Movement, which is not a common thing for someone like me who isn’t Jewish. Yet for all of that I find myself heeding a slow and steady pull back to a Church, and this one Church in particular, this place that I feel found me as I didn’t look to find it, just may be my new home.